Yes! You can send gift cards to multiple people. 1. When you get to the Gift Card step, choose the checkbox that says Send a gift card to more than one person followed by clicking Done. 2. 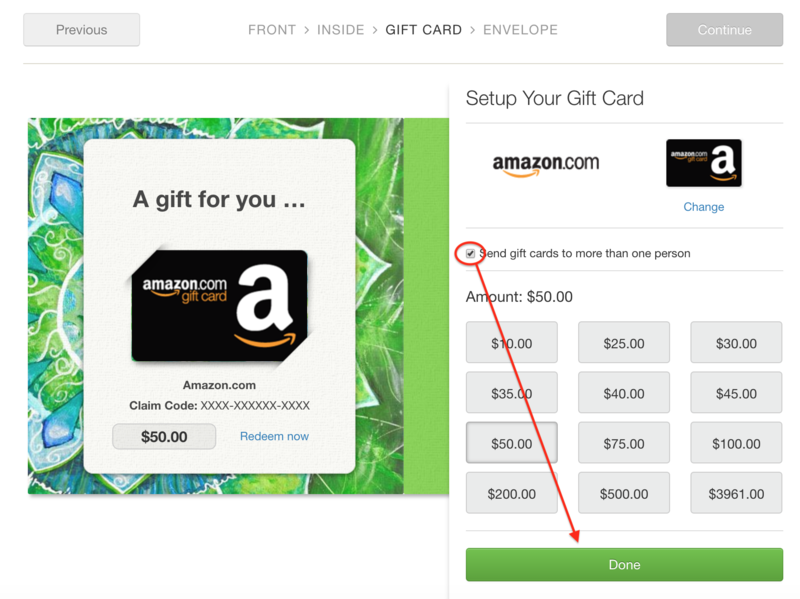 Before you send, you can edit the gift card and the desired amount for each recipient.